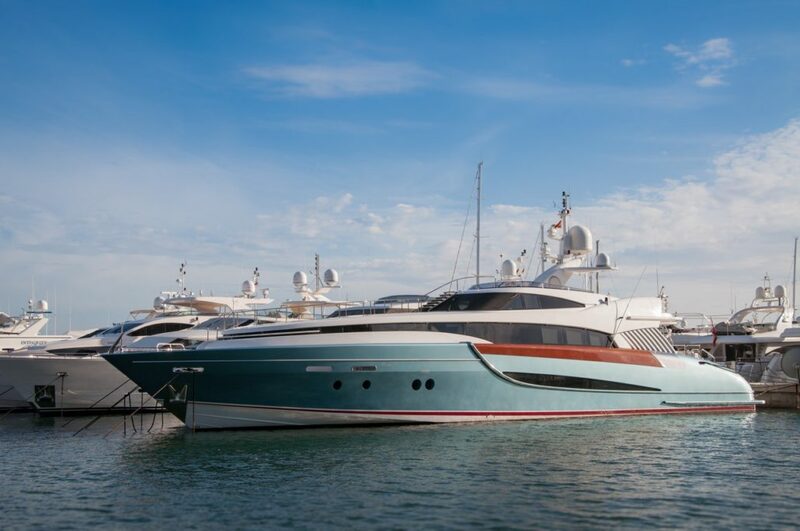 The Miami International Boat Show will be taking place this Thursday, February 14 through Monday, February 18, 2019. If you love boating, boats, and the water, you’ll definitely want to be there! Of course, while you’re in town, you’ll naturally need somewhere to dine with friends or family. We invite you to stop by the Mercato Della Pescheria Miami any time throughout the five day show to have a delicious and authentic Italian meal! The Mercato Della Pescheria Miami is located in the heart of Miami on Espanola Way. Our area is a colorful and bustling one, complete with indoor and outdoor restaurant style seating. The style of the restaurant is an Italian seafood market. No matter where you look, you’ll feel like you’re in an Italian seaside town on the Tyrrhenian or Adriatic Sea. While you dine with us, enjoy food from a variety of traditional Italian stations. Select from seafood, pizza, homemade pasta, steak, and much more — all with an authentic Italian flair! We often have diners come from local events (such as the boat show!) to enjoy a delicious Italian lunch. Fortunately for our lunch diners, we have a number of truly appetizing lunch specials to choose from! For example, if you’re in the mood for something light and fast, choose our Half Sandwich Soup or Salad Lunch Special for just $8.95. Choose from one of three delicious Sandwiches: Our signature chicken sandwich, our caprese sandwich, or our prosciutto mozzarella sandwich. For something a little more substantial, try one of our large pasta dishes! We offer pasta putanesca, pasta alfredo, pasta pomodoro, or pasta pesto. You can even add chicken! Of course, we have a number of other lunch specials, dinners, happy hour specials, desserts, kids’ meals, drinks, and more to choose from! Stop in anytime to join us! The Miami International boat show is an annual event that features over 1700 nautical companies. These companies produce the majority (over 80%) of all products used by anglers and boaters for recreation in the US! It’s one of the biggest boat shows in the nation, and it’s one you won’t want to miss. Come One, Come All to Mercato Della Pescheria Miami! Whether you’re in town for the Miami Boat Show or Valentine’s Day, which is February 14th, we invite you to join us at Mercato Della Pescheria for an absolutely delicious Italian meal. We’ll see you soon!